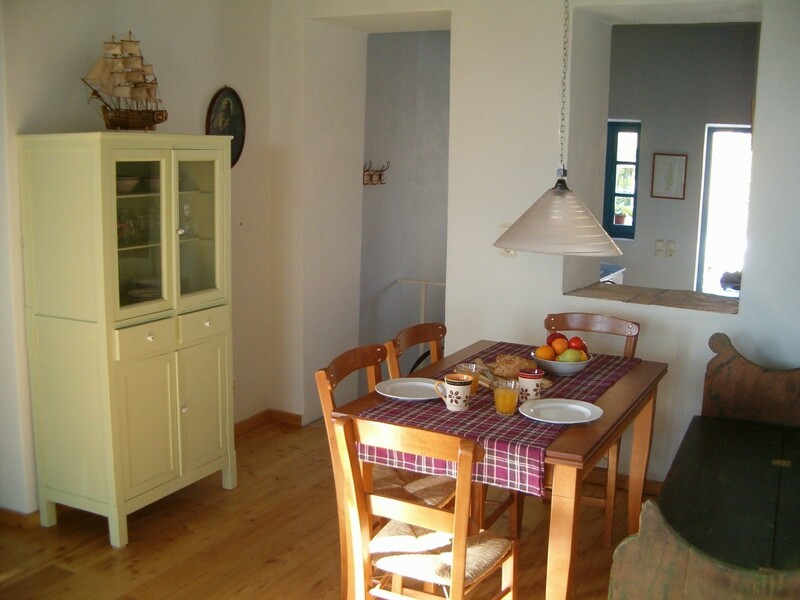 Since 2003 we have lived on the island of Kythira in the village of Potamos. In 2009 we bought the ruined house next door, our dream was to transform this beautiful ruin into a unique and spacious holiday home. After 50 years in ruins Pyrgos House finally re-opened its doors in summer 2010. Pyrgos is Greek for tower. 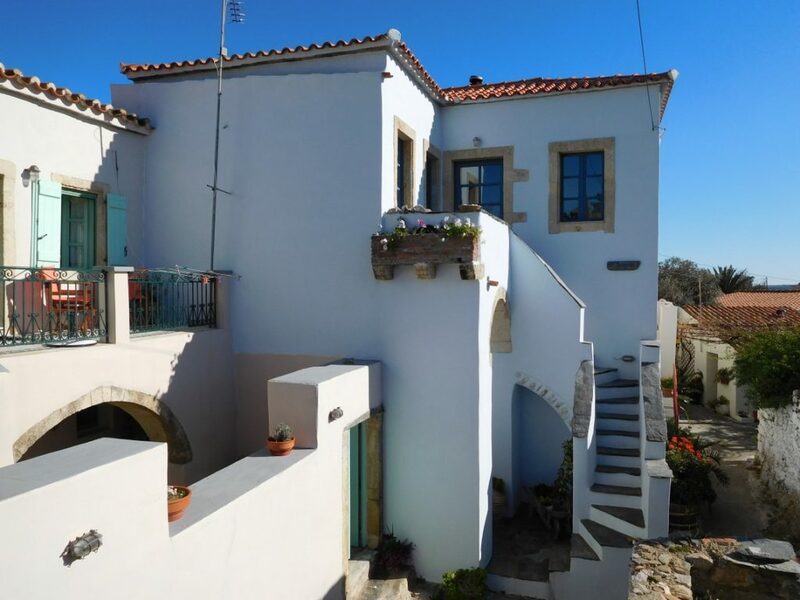 Within living memory, inhabitants of Potamos know the traditional village house as Pyrgos because of its height and aristocratic look. Now, fully restored, we have returned the house to its former glory. 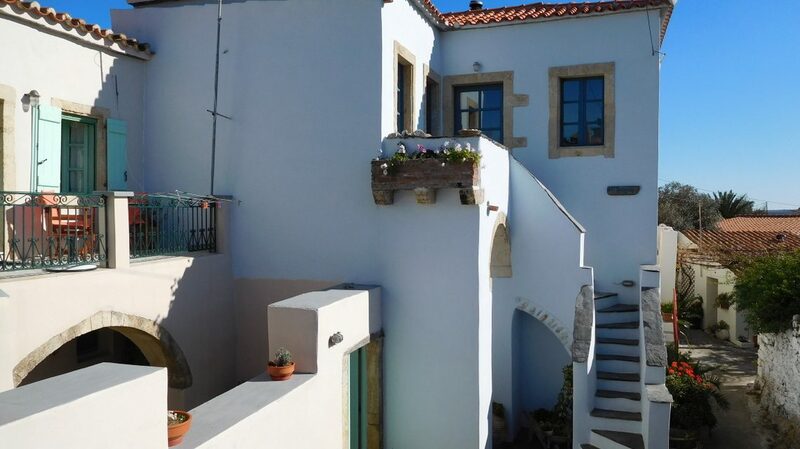 The location, the views, the original outside staircase with surprising lines, and the beautiful arches make Pyrgos House a unique and striking house which has already been photographed many times. 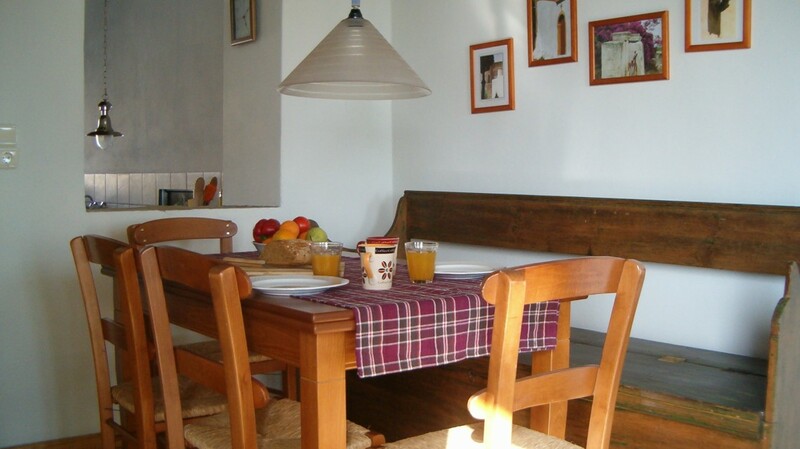 The house is located in a narrow and quiet alley in the friendly and historic residential of Panaretianika. From the balcony on the front the view over the green hills in the direction of Logothetianika is stunning. 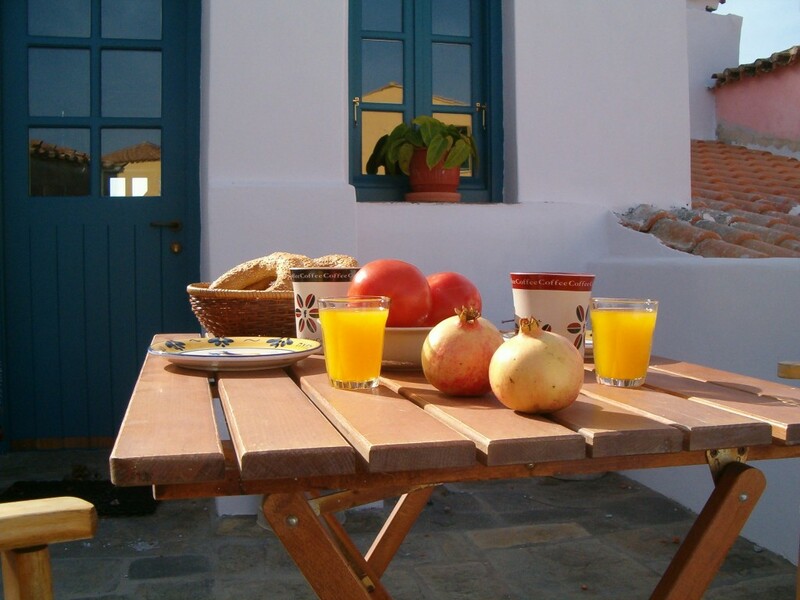 With a stay in Potamos you will submerge yourselves in Greek village life. Around the village square there is a bakery, a butcher shop, a small super market and some nice kafeneia and restaurants. Potamos also provides a post office, a bank and an ATM. Every Sunday morning locals and visitors come together at the market on the village square. It is a traditional and colourful market where islanders sell their local products and have done so for hundreds of years. 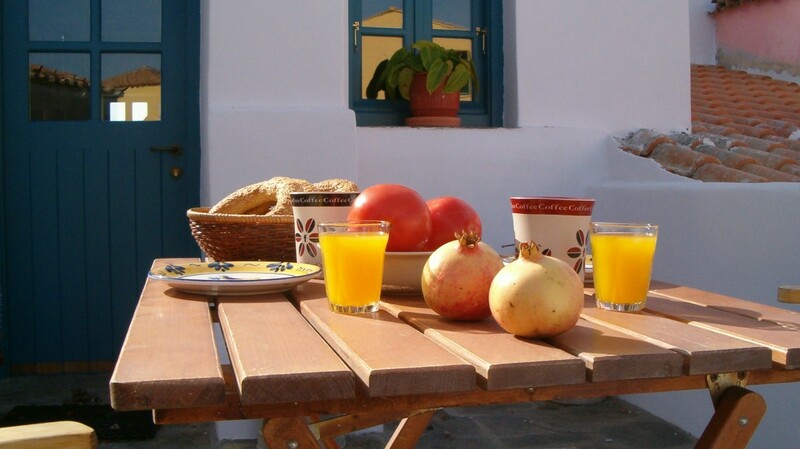 A visit to this market cannot be missed during your stay on Kythira. Potamos is an ideal base for discovering the island due to its central location. A beautiful, stone outside staircase leads you to a small, intimate balcony and the first floor entrance directly into the living area. 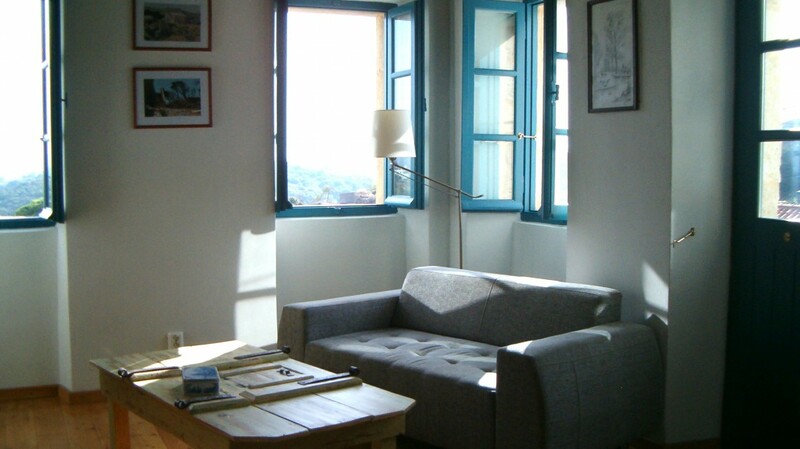 Here you enter the high, spacious and light living-room with comfortable seating and a big dining-table. 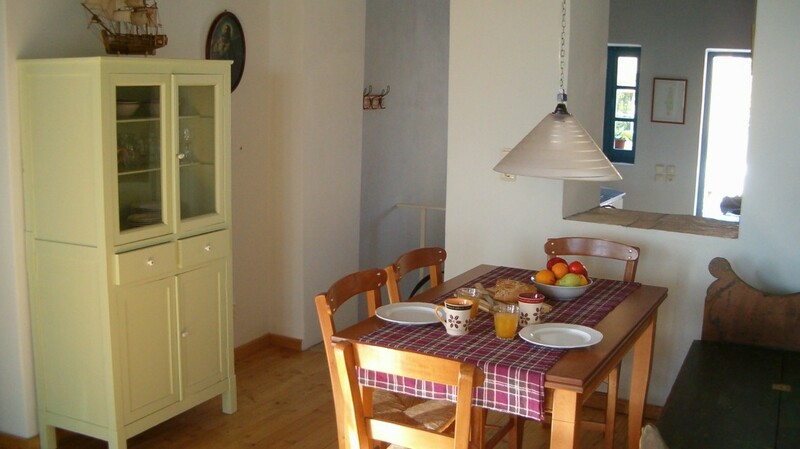 Adjacent is the kitchen and a separate bed-room with two single beds. From the kitchen there is access to the spacious and inviting terrace to the rear of the building. Descending the internal staircase from the kitchen you reach the ground floor. 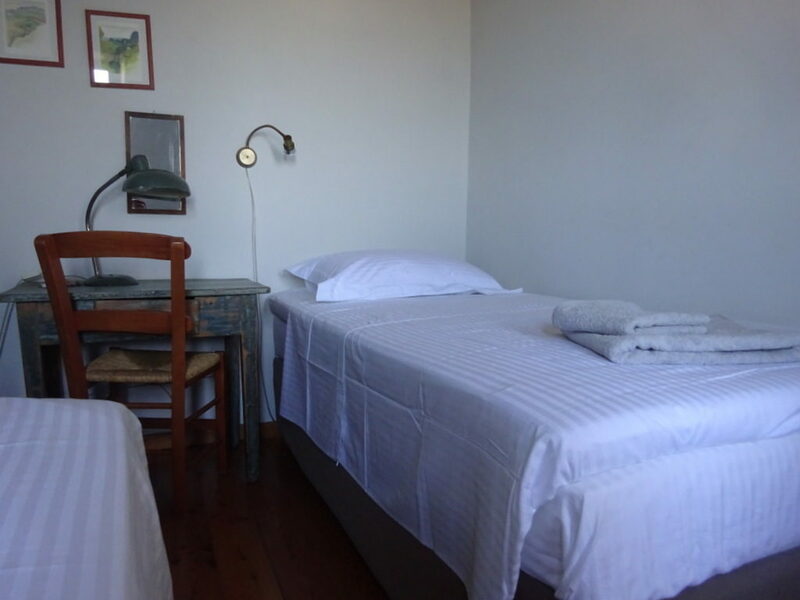 Here are located the bathroom with shower, toilet and wash stand, and the second bed-room. 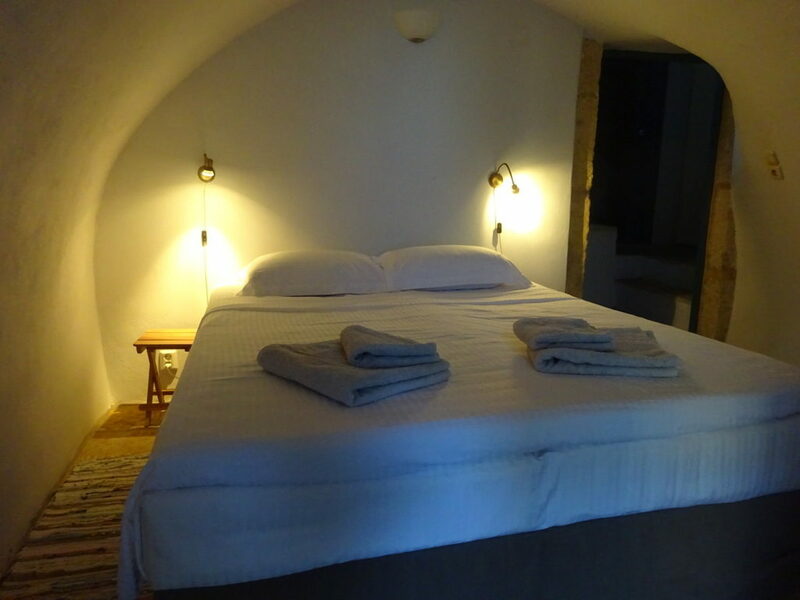 This traditional arched room, the kamara, with double bed also has a separate entrance door. 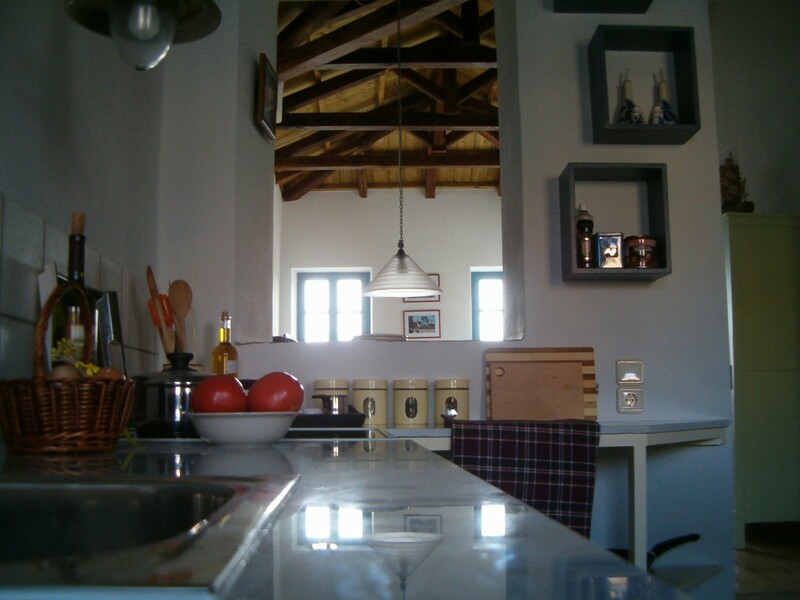 Those who love to cook will delight in Pyrgos House. The kitchen inventory is complete and you can use the products from our nearby biological garden. In this garden we grow vegetables, fruit and herbs all year round. In addition to this, our free range chickens guarantee farm fresh eggs every morning. 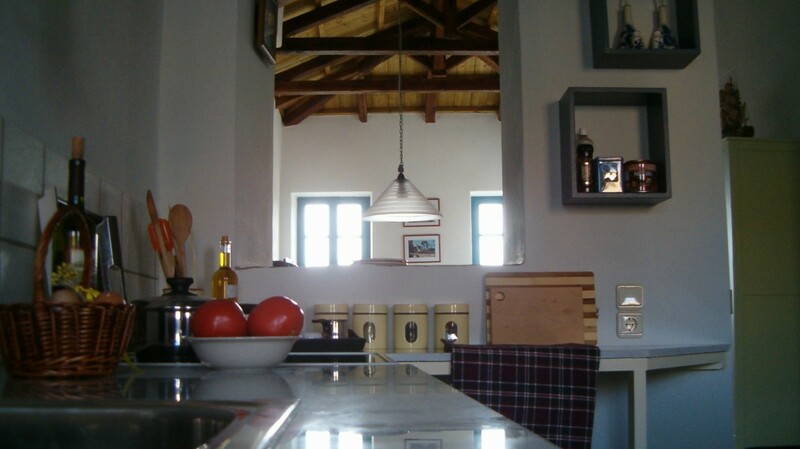 And of course in your kitchen you will find a bottle of our own olive oil. 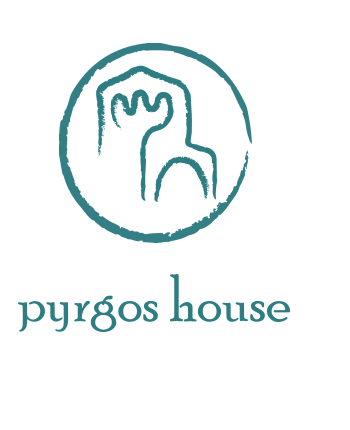 Pyrgos House is open all year around. 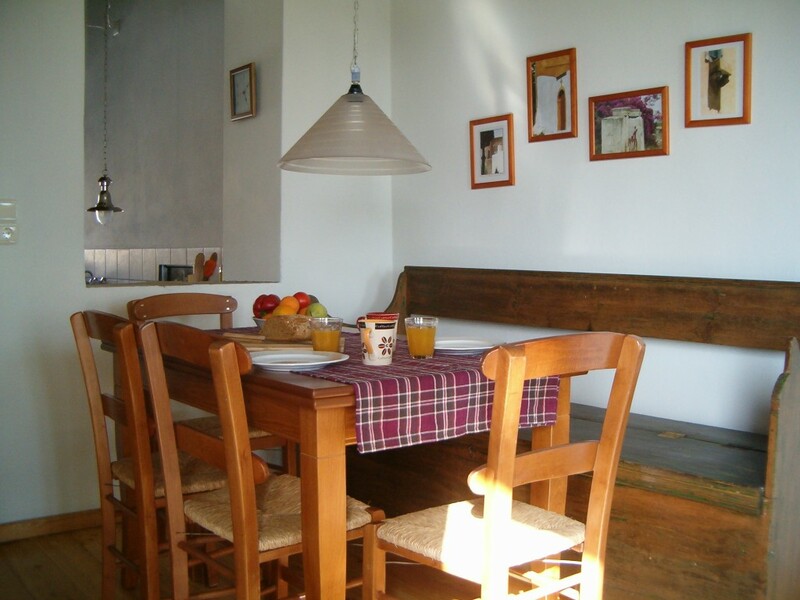 Central heating and the woodstove make your stay also in wintertime very comfortable. 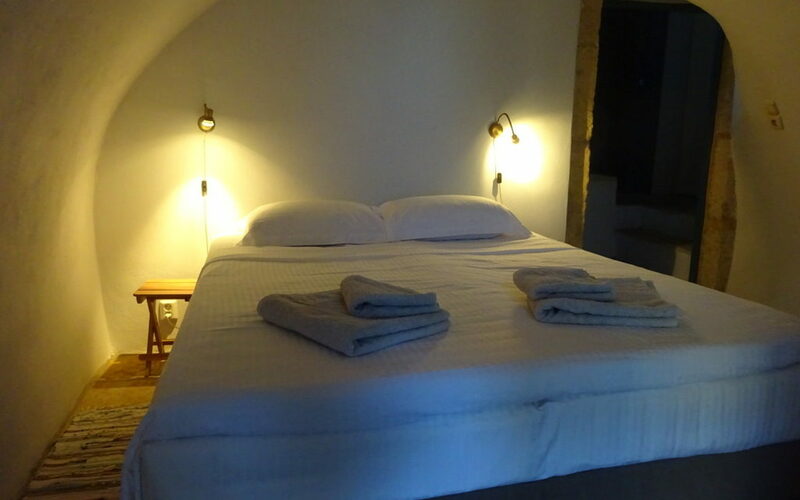 Prices are per night and based on a two persons stay. 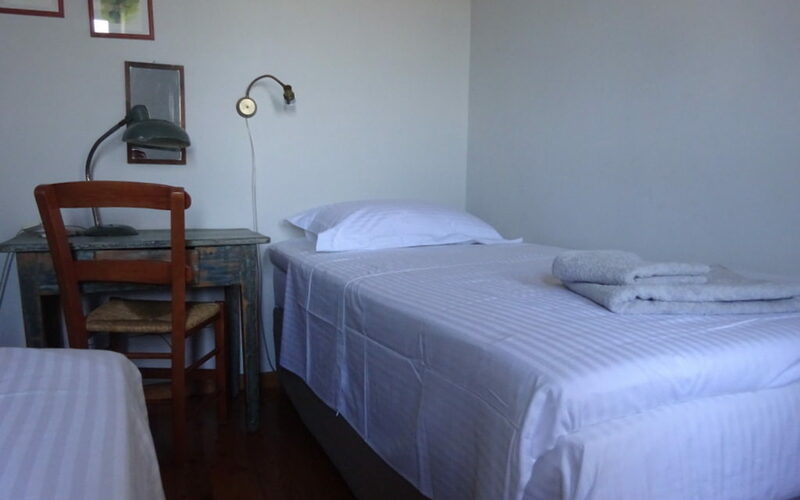 Prices are inclusive bed linen, towels and cleaning. 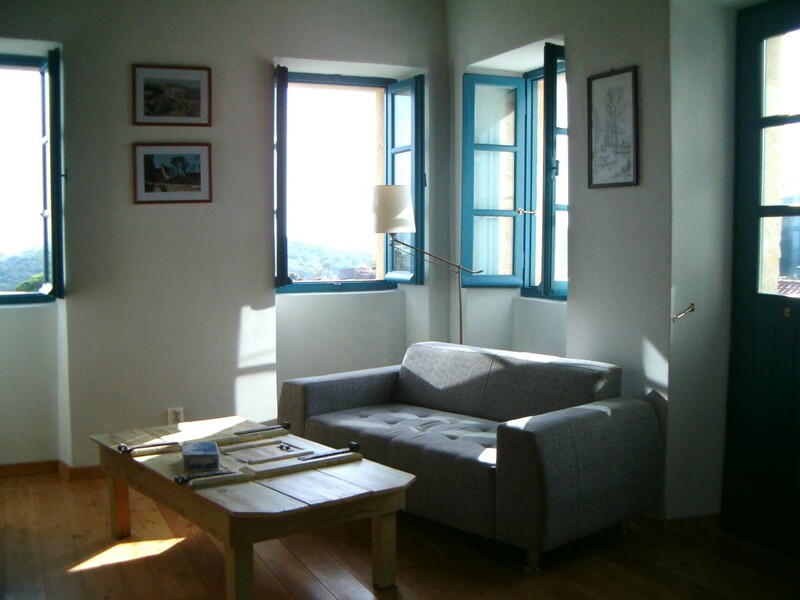 If you want to stay in Pyrgos House with more than 2 persons, we ask a surcharge of € 10,00 for every extra person. Cleaning, changing of bed linen and towels are twice a week.